There are many ways in which one might choose to worship at the temple of fitness, but perhaps the most effective (and popular) way today is High Intensity Interval Training. Otherwise known as HIIT by fitness insiders, the exercise ideology centers around the alternation between intense bursts of activity and fixed periods of less-intense activity or rest. So if it’s abs and weight-loss you’re after, you’ve come to the right place. HIIT gyms have become increasingly popular on local shores because they produce results fast, and do not typically require lengthy lessons that many time-starved office-goers cannot afford. Here, six HIIT gyms in Singapore’s CBD that will get your heart rate up and your fat percentage low in no time at all. You can thanks the HIIT gods for bringing Los Angeles-based Barry’s Bootcamp to Singapore. 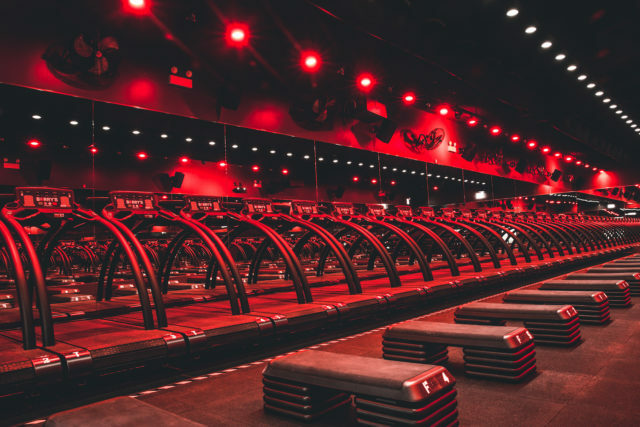 Known as the high-intensity workout that launched a thousand others, the renowned regime will be conducted in the same signature Red Room that’s seen more calories burnt than all seasons of The Biggest Loser combined. Inside, expect a quick-fire combination of cardio, weight training, and anaerobic moves that keeps your heart rate at a high throughout, effectively revving your resting metabolism by up to 15 percent. Little wonder that its fans include the Beckham couple, Premier League footballers and yes, Kim Kardashian. 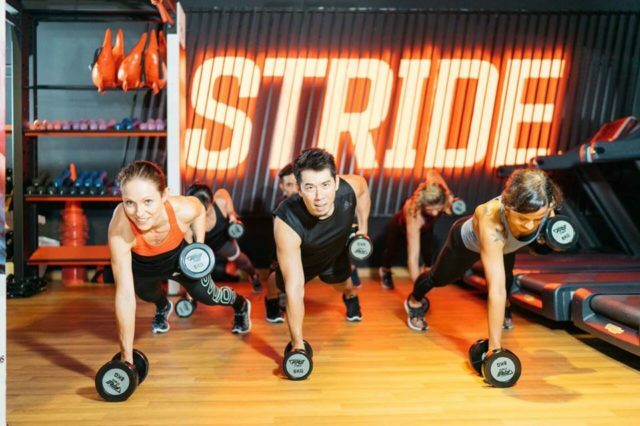 The premier gym will launch their flagship studio in the CBD come May, and besides its crushing sweat session, will also bring its famous Fuel Bar concept with it. 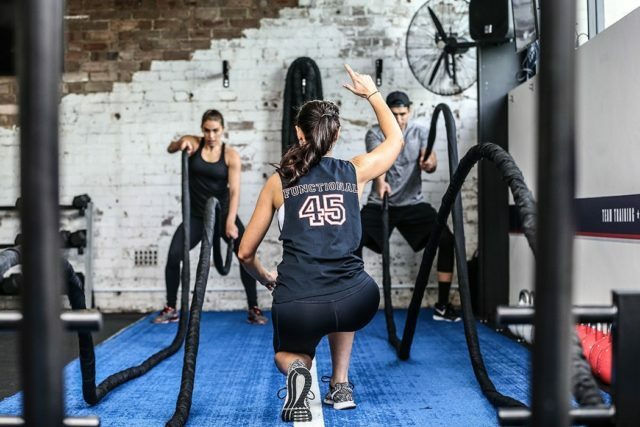 It might only have been founded in 2011, but F45 has exploded in the fitness scene with its all-out high-intensity regime by celebrity trainer Luke Isotomin. Each workout — which can vary in focus from strength training to cardio — is 45 minutes long and incorporate functional moves, hence the name. Here, you’ll work your way through a plethora of stations, but each workout and playlist are programmed such that you’ll never get comfortable enough to let your guard down. TV screens mounted around the room indicate everything from timing intervals to heart rate stats that are connected to monitors strapped to its attendees. Aptly named seeing it’s right smack in the middle of Singapore’s concrete jungle, the dynamic fitness and martial arts studio offers some of the most diverse HIIT classes around. Three different types of sessions are offered depending on your goals: the signature Jungle HIIT, Kickboxing HIIT — which includes martial arts conditioning — and personal training, an hour-long session that promotes maximum calorie burn and muscle gain. Various group classes such as Brazilian Jiu-Jitsu, Muay Thai, and strength training are also available for those looking to incorporate a little variation in their routine. 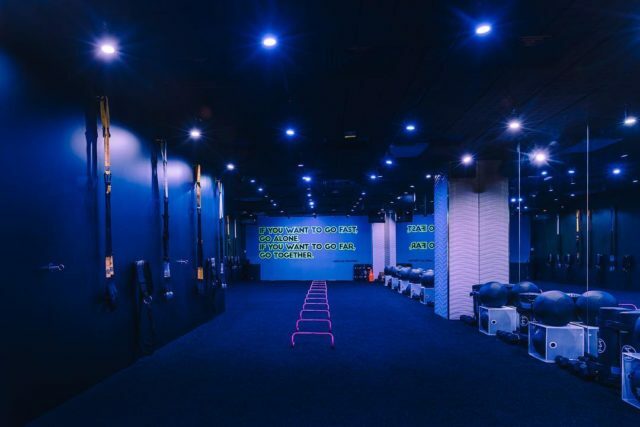 Located at CBD’s Downtown Gallery, Haus Athletics offers 45-minute athletic-based conditioning workouts that are based on primal human movements (i.e functional moves). Music plays a big part in the classes here. Heart-thumping beats are specially curated to accompany the three main classes: Leanout for total body burn, Meltdown for rapid fat-burning, and Kore for a leaner mid-section. 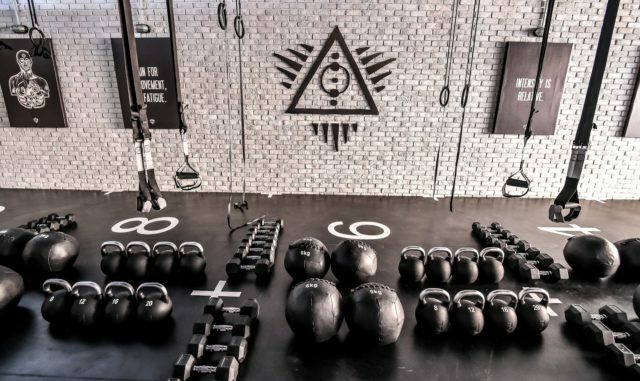 Founded by Dave Nuku of The Biggest Loser Asia fame, Firestation 3.0 joins the buzzy gyms at the Tanjong Pagar district with its intimate group training classes. Here, the core of its workouts revolve around the Fire Trainer, a patented suspension trainer that allows users to leverage their own body weight for strength training. As fast-paced as it is, the experience is kept social and light-hearted, especially with constant encouragement from its trainers, or better known as Fire Rockstars there. Spanning only 20 minutes a lesson, Ritual is perhaps the best option for squeezing in a quick workout before lunch. The gym’s been around for a while now, so it knows a thing or two about training efficiently. There’s no time to throw in the towel here; the class is extremely fast-paced, and a set of exercises — which can vary from day to day — is done consecutively for 20 seconds without intervals, followed by a 40-second break. The routine is repeated six times, but while it sounds like a cinch is actually a proper challenge that will keep your metabolism at a high long after your session.